It’s a well-known fact that most of the Wolverine State’s “Booner” bucks come from a number of southern counties. Check out these ways to get in on the action, even if you don’t own property in the area. 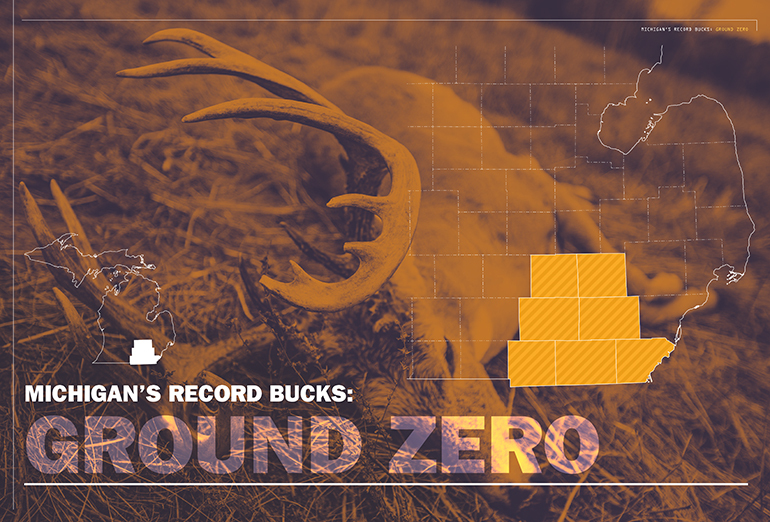 Abundance of private land in southern Michigan, some of which is not open to hunting, and the popularity of voluntary antler point restrictions also contribute to the big buck bonanza. Properties where there’s little to no hunting serve as sanctuaries where whitetails live long enough to grow big antlers. The tendency of most hunters to pass up young bucks, even if not required, allows bucks to reach older ages on hunted properties. If you are interested in hunting these big buck counties, but don’t already have access, the following information should prove helpful. Some public hunting land is available in these counties, but there are options for hunting private land, too. Some southern counties have little public hunting lands, but others like Livingston, as well as Allegan and Barry in the southwest, have plenty to choose from. You can find out how much public hunting land is available in counties you are interested in hunting by going to a feature called MI-HUNT on the DNR website. To get there after reaching the DNR website, click on hunting then the deer icon. The page that comes up will have a tab “Where To Hunt.” Click on that to get to MI-HUNT. This feature allows you to pull up maps for any county in the state and locate public hunting lands in those counties.County map books available from most book stores and some sporting goods stores are also great references for locating public lands by county. State-owned lands are a dark green in color, and federal lands managed by the U.S. Forest Service are a light green in color on the county maps I have. That color coding makes it quick and easy to find public hunting property. It will be necessary to visit those locations and walk those properties to find out how good they will be to hunt. It’s best to do that during pre-season scouting. Winter and spring are great times to start scouting. Check out deer sign as well as signs of other hunters from previous seasons to get an idea of how valuable those locations might be to hunt. Even where there’s significant hunting pressure, you may be able to get away from the crowds by going farther from access points than most hunters or by hunting thick swamps or marshes that other hunters tend to avoid. Even counties that only have small parcels of public land can be worth checking out. Other hunters may avoid these spots, assuming they are over run with hunters. If everyone thinks that way, hunting pressure might actually be light. The only way to find out is to actually check them out. The Commercial Forest Act has been a boon for hunters in our state because it allows owners of private forest land to pay lower taxes on their property in exchange for allowing the public to hunt and fish. Most CFA lands are in the northern part of the state, but there are some in southern Michigan. In the southeast, Lenawee and Washtenaw have CFA lands. So does nearby Calhoun, and so do Allegan, Barry, Berrien, Van Buren, Kalamazoo and Cass further to the west. To find out where CFA lands are in any county in the state, click the “Where to Hunt” tab on the DNR website as you did before, but, instead of clicking for the MI-HUNT map, scroll down to the very bottom and click the link for “Public Access on Commercial Forest Land,” then click the top link on that page for the CFA map. The DNR has a Hunting Access Program (HAP) for private lands throughout the state whereby the state agency leases hunting rights to private lands for the public. This program can save hunters a lot of time because access has already been gained to private land. Hunters simply have to follow the guidelines for the property they wish to hunt, provided there are openings. Most properties under HAP have a maximum number of hunters permitted to hunt at one time. Each property has a set of guidelines to follow that are provided by individual landowners. Some require mandatory check-in with the property owner, and others simply have a self-service box to sign in and sign out when done hunting. HAP properties are available in several southeast Michigan counties. Go to mi.gov/hap to find out what parcels are available by county and what the procedures are for hunting them. Hiring a guide is another option. Jeff Stannis from Pinckney offers guided hunts for one or two hunters at a time in Jackson and Washtenaw Counties. Rates vary depending on timing and number of days hunted. All hunting is from treestands and ground blinds. A buck Stannis shot himself in Washtenaw County during 2008 is an example of what’s available in the area he guides. 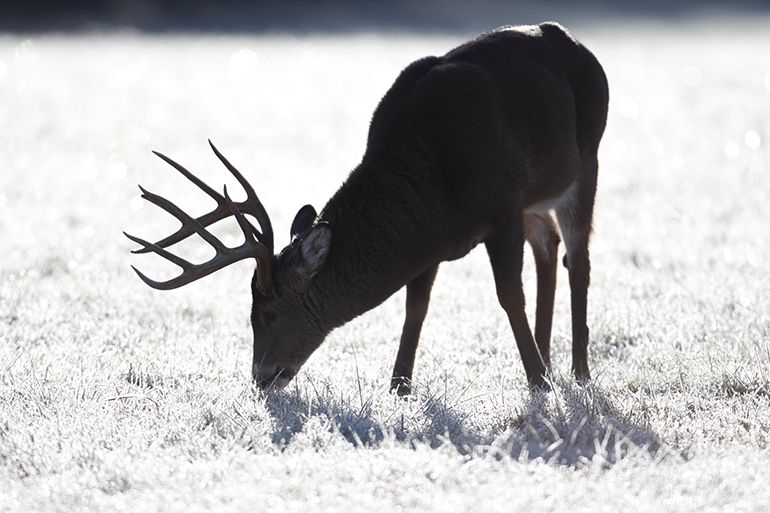 The 3 1/2-year-old whitetail grew antlers that grossed in the 160s and netted 159. His telephone number is 734-883-1531. Michael Zweng from Marine City (810-278-7379) offers hunts in St. Clair County on 1,200 acres of private land. Cost depends on the season, the number of people hunting and duration of the hunt. Most hunting is from treestands and ground blinds. A good buck from that farm will score around 140, according to Michael, but the best buck one of his hunters shot scored about 155. Both Stannis and Zweng are registered with the DNR. The DNR maintains a list of hunting guides along with the species they guide for and the counties they guide in, on its website. The list is under the heading of Commercial Hunting Guides. Other hunting guides in southern Michigan can be located from ads in outdoor magazines and newspapers. Some guides offer hunts on properties that are high fenced, which tend to be more expensive than those for free-ranging whitetails. It’s also possible to gain access to hunt on private property by knocking on doors to ask for permission to hunt. This won’t be as easy as it once was, but it’s still possible. Getting permission to bowhunt can be much easier than gaining access during gun seasons. Being willing to shoot does on farmlands where crop damage is a common problem can open some doors, and so can offering to help out with chores in exchange for hunting access.Bowhunter John Benedict from Auburn Hills is an expert at obtaining permission to hunt deer on private lands in southern Michigan, and he’s shot a number of Boone and Crockett bucks on those lands. “I spend as much time hunting for permission as I do hunting for deer,” John told me. “A lot of people give up too easily when trying to get permission to hunt private land. If one person says no when they ask for permission to hunt, they get discouraged rather than asking the neighbor. I always ask the neighbor. And if I get permission to hunt from the neighbor, I go back to the person who said, ‘No,’ and tell them if they see me or my vehicle around, I’m not trying to sneak on their property, I got permission to hunt from their neighbor. “They will sometimes give me permission to hunt then, too. If they don’t, I ask if it’s okay to follow after a deer on their property that I shoot on their neighbor’s land. “If I hear a report about a big deer, I always follow up on it. Rather than assume it’s a false report or someone is exaggerating, I try to find out as much as I can about where the deer was seen. Then I refer to plat books to find out who owns the land and try to get permission to hunt. Once I have permission to hunt, I get aerial photos and topo maps of the area. I also refer to county maps. Benedict said he has a resume ready to give any skeptics he encounters. As a retired member of the military, John said he used to wear his uniform when asking for permission to bowhunt.